RVWS was excited to work on a complete redesign for Brubaker Sales & Marketing. Ken Brubaker and his team have a wealth of knowledge and experience in the cattle business. They offer an entire suite of services and we were extremely pleased with the roll-out of this new website. 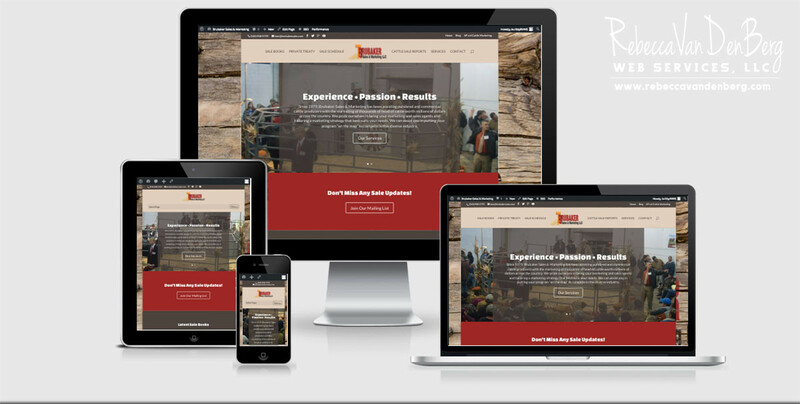 The site was built on the WordPress platform and completely customized using the existing logo and incorporating the rustic look and feel Ken was looking for. Having a strong ‘call to action’ on the home page is a critical feature of ANY website, and joining the Brubaker Sales & Marketing email list to get the latest sale notices was the first priority. 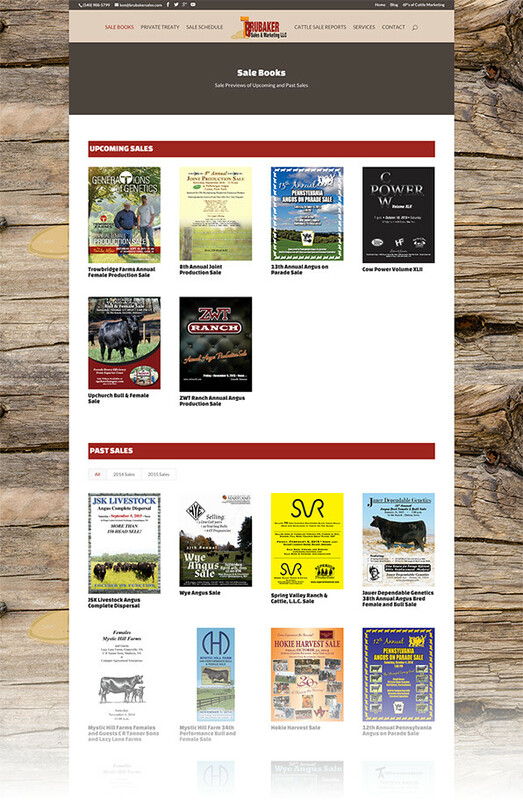 The website serves as a marketing hub and key resource to view sale books and videos of sale cattle. Visitors are directed to the sale books from the home page. From there individual visitors are able to view video playlists of sale animals, as well as download a PDF of the sale book and get all the important dates, times and location of the sale.